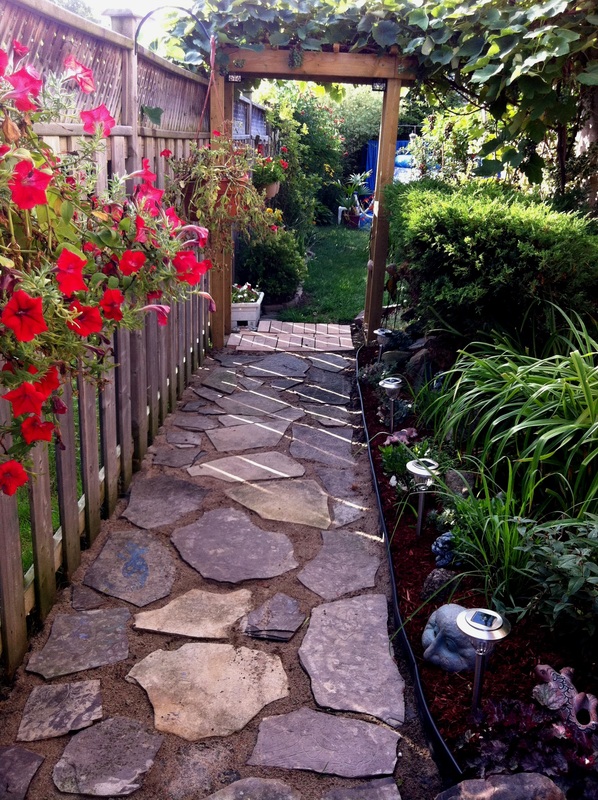 Last time I posted pictures and a story about my efforts to build a little rock garden alongside a walkway, the response and interest was great! I go into my garden every single day – and not just once. It has become my special relaxation place, even though I don’t just sit there. 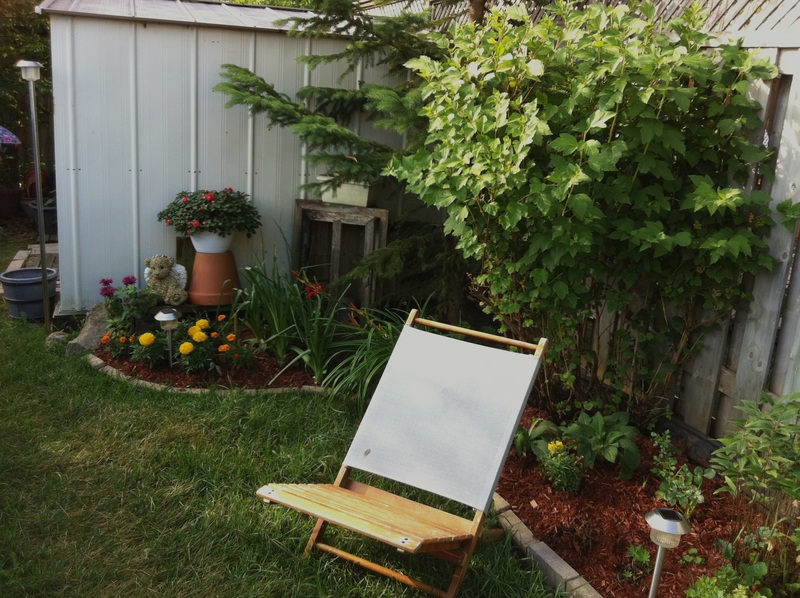 There is always something to do – pick dead flowers, fix up mulch, add this there and that over there…. And I am loving it! I went out early this morning – the sun was shining, birds were signing and other than that, it was very quiet. What a way to nejoy the first fresh cup of coffee! And no – I didn’t bake muffins before I went out, it was way too nice outside. 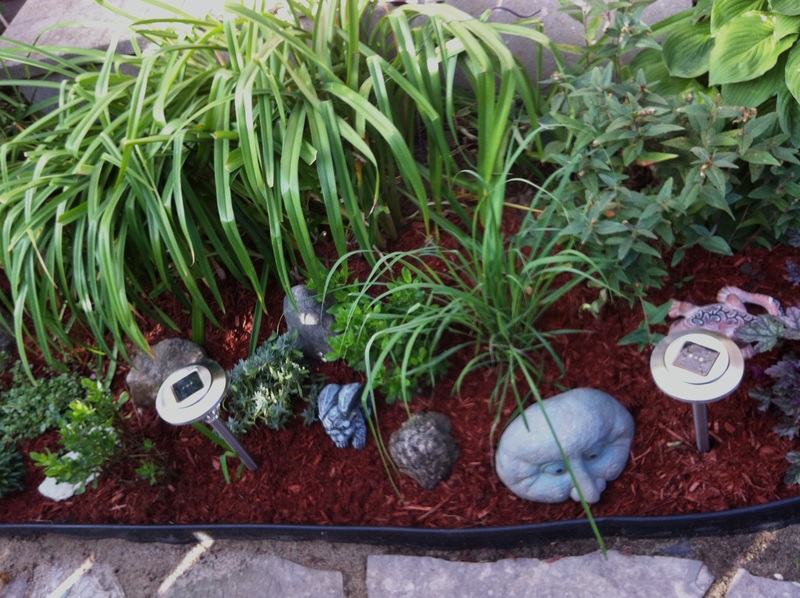 I used large rocks I collected while visiting Northern Ontario, added some interesting little lizards and faces from local dollar store and small plants - just a little more than rocks and the mulch keeps everything nice a clean. 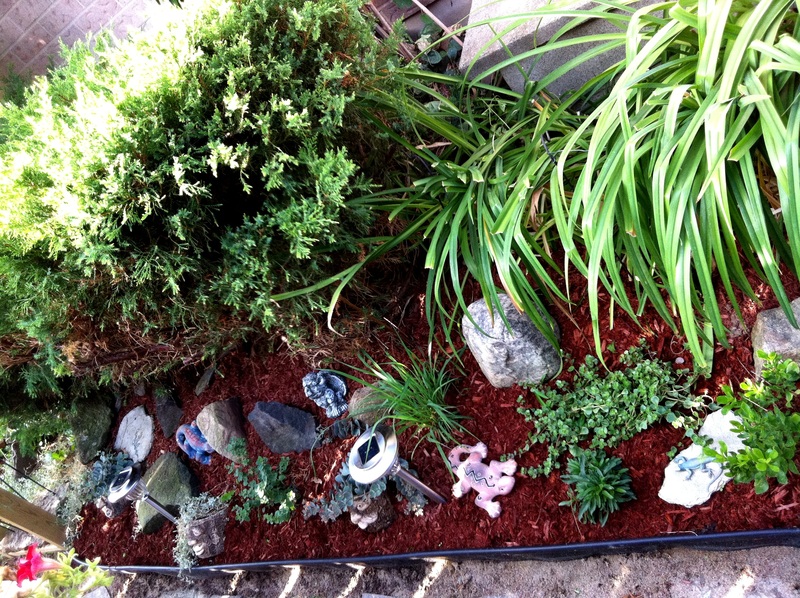 I didn't want to use small rocks between plants, because the rock garden is on a slope and I didn't want them falling onto the walkway. That awesome half face is my favourite - and yes - it was a garage sale find! As a last step, I added solar lights - they were on special at Canadian Tire for $19.99 for 10 of them! 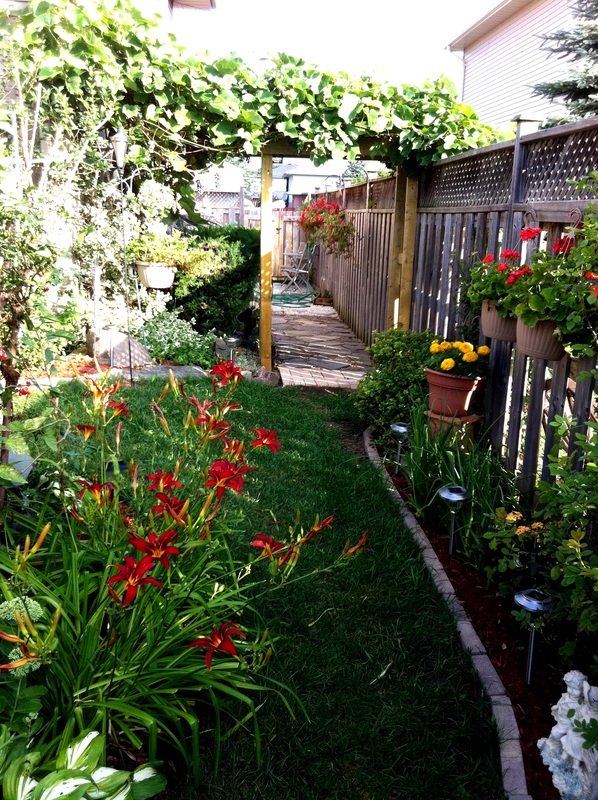 Here you can check out how the rest of my oasis looks – as I mentioned in my previous stories – I wanted to create a garden that would return every year – well, at least 80% of it, so all I have to do is add a few annuals for extra colours. Most of my gardening is done by trial and error so don’t be afraid to try whatever you think you would like to have in your garden – it ultimately works just fine! 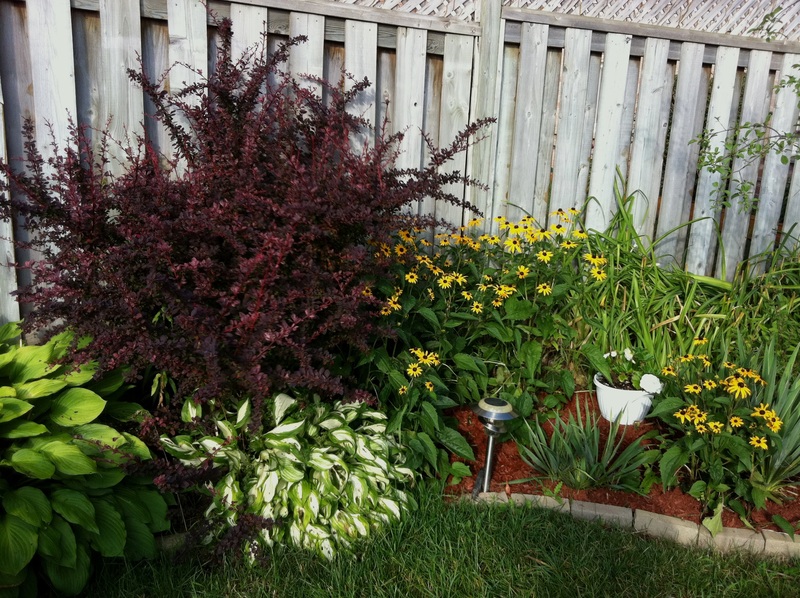 I am not sure what that gorgeous deep burgundy bush is called - I liked the look of it what I bought it about 5 years ago. It adds great colour to the flower bed (it also has thorns so I don't trim it much) The Black-Eyed Susans are just starting to bloom, so the colour contrast is great! We used to have a gazebo on this deck,. but after the second canvas got torn in a wind storm, we decided to just add a railing and use an umbrella over the table for shade. And this is an example how my garden is a continuous work in progress - I am working on figuring out how to best build steps from used bricks that were given to me. It will work eventually - I am sure! Is this not spectacular? 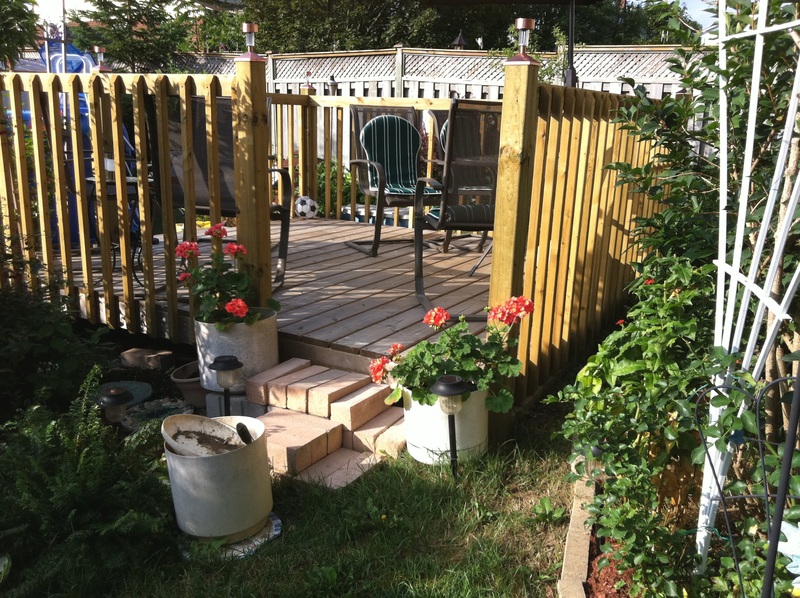 We put a trelis and front right side of the deck and I added this beauty. 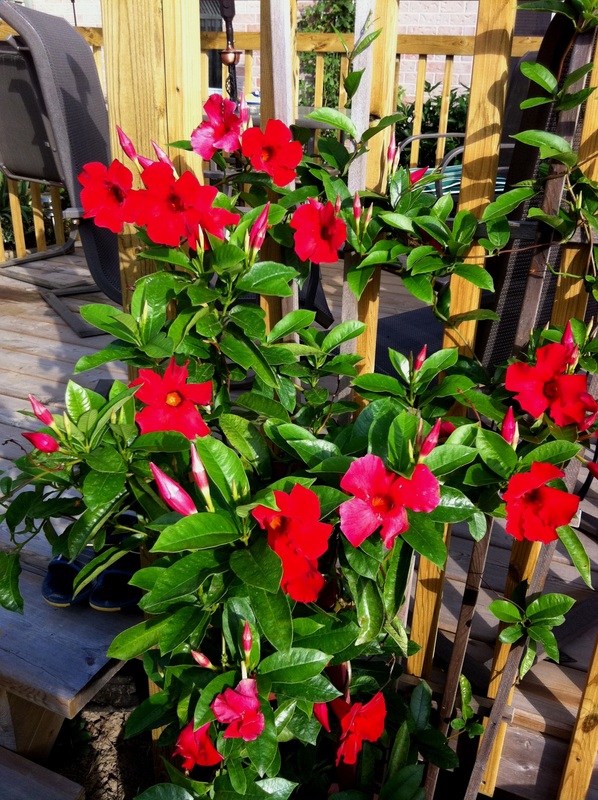 It looks tropical and grows like crazy - you gotta love it! Walking out of the garden is as pretty as walking in – here you can see what it looks like in the opposite direction from the first photo. You can probably tell by now that I have a real passion for my garden – it is not big, it has a lot of less than perfect spots, but it is great to see results of your work – trust me! Send me your comments, suggestions and if you can – your pictures, I love getting your input!